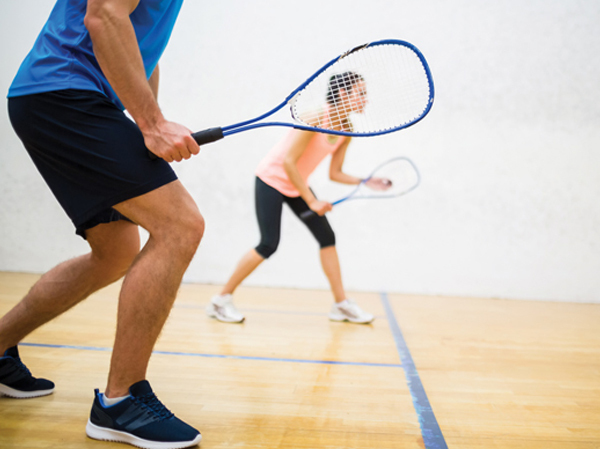 Alverstoke has a vibrant Squash & Racketball section, with plenty going on for players of any standard. With the friendly camaraderie of the weekly handicap competition and the active Club Leagues, there are always plenty of opportunities to get involved and improve your game. For the more advanced player there is the opportunity to represent the club in team matches in the Hampshire and Isle of Wight Leagues. New members are always welcome. Online booking is available and courts can be booked up to to 2 weeks in advance. The leagues run monthly, ending on the last Friday of each month. The leagues here at Alverstoke have a very high participation rate and have a number of unique features that you are unlikely to find elsewhere. At Alverstoke our main drive for the leagues is participation. We want as many people as possible playing as many games as they can. To help make it more transparent as to who is playing their games; players are colour coded based on their attendance record. This serves to highlight those who need a gentle reminder to get their games played, and lets everyone clearly see who the easiest players are to arrange games. Again in line with trying to encourage people to play more, players in the leagues are awarded additional bonus points based on how many matches they play each month. Anyone who plays 4 matches gains 1 addional point, while if you play all 5 matches you gain 3 bonus points. It’s not uncommon for a player to stay up or gain promotion as a result of gaining 3 addional bonus points. To try and keep people playing as wide a range of opponent as possible, each month players are assigned one guest opponent from a different league. This means that occasionally you will get a chance to play someone that you may never have had the chance to play ordinarily. Each month everyone who plays all 5 games earns a half price individual lesson. Likewise if any league has every possible match is played then all the players get a second half price lesson. Furthermore the player who across all the leagues scores the most points each month wins a free lesson. Over the season every players matches played and points won are tracked, with the player scoring the most points, and the player playing the most games winning a trophy at the end of the season.